The situation in Paris is rapidly worsening. The street camp at St Denis has grown quickly and aid is being distributed as fast as it arrives. Last night PRGS ran out of sleeping bags: roll mats ran out two days ago. We are sending vans twice a week but we don’t have the stock to keep up with this level of demand. 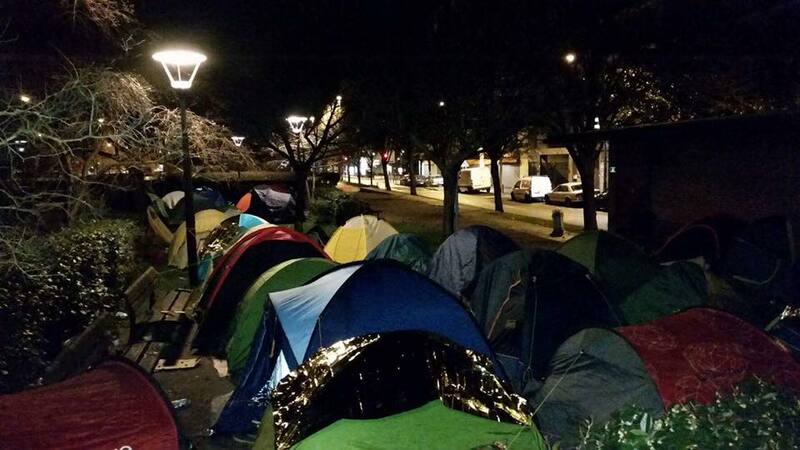 There are now many hundreds of vulnerable people on the streets on Paris who are without life’s basics: food, shelter, warm clothes, a way to provide for themselves. With the official camp overflowing, tonight many will again have no choice but to face another night sleeping out in below freezing temperatures. The aid distributions from the groups operating in Paris are the only hope some people have. Despite our very best efforts, we do not have enough to support them.